Over the years energy drinks have gained in popularity, especially in the sporting industry. They claim to boost the immune system, as well as enhance performance and endurance. That’s why 30 to 50 percent of teens and young adults purchase these drinks. What effect do energy drinks have on the body when consumed on a regular basis? Drinking energy drinks like Redbull, Monster, or Rockstar once in a while when you need a little boost to make it through a long drive is relatively harmless. However, once someone starts drinking them on a regular basis their body will develop a dependency. This causes a problem for your body’s overall health because excessive amounts of caffeine and sugar are consumed. This can lead to increase in heart rate, blood pressure, and weight, while causing insomnia, and dehydration. In the long run your body will feel worse. 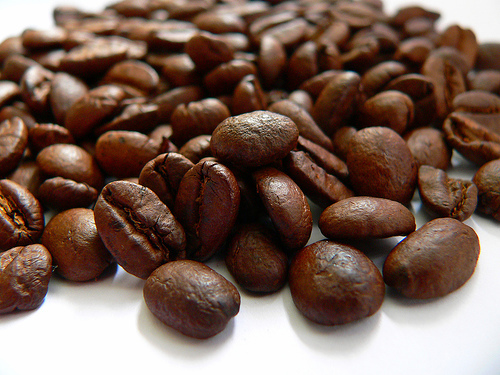 Caffeine is by far the most widely used stimulant in energy boosting products around the world. According to studies, 300 to 400 mg of caffeine a day, which varies by individual, will start causing initial symptoms such as increase in heartbeat, jitters, and/or insomnia. Caffeine dependency can already develop after only 5 to 7 days of regularly intake. Individuals may notice light withdrawal symptoms. For further side effects please read negative effects of caffeine from an earlier article. Currently caffeine is not required to be listed in ingredients. 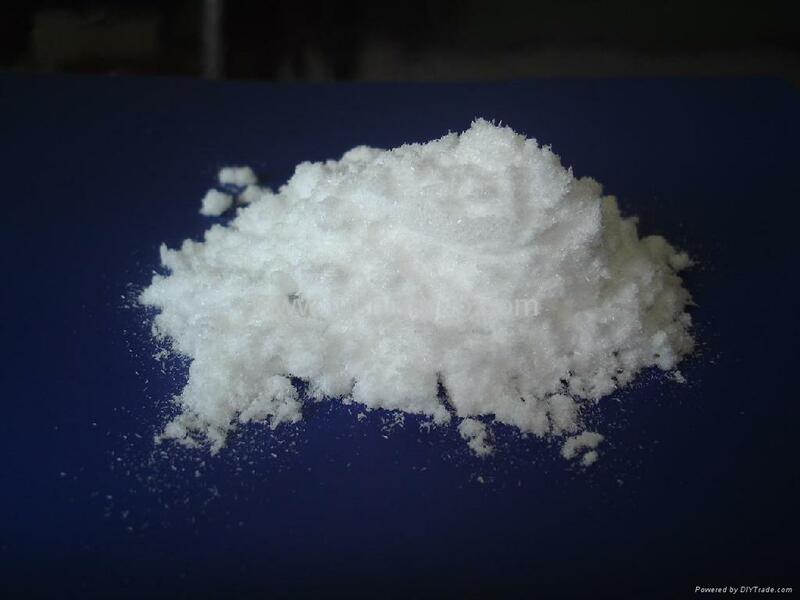 However, many companies list the substance voluntarily. This regulation may change in the near future due to the high amount found in energy drinks. FDA is trying to determine how to regulate the amount of caffeine listed. Taurine is an amino acid, naturally produced in the body and used in many energy drinks. Taurine is said to support neurological developments and regulate the level of water and mineral salt in the blood. There are claims that it improves athletic performance and when mixed with caffeine increases mental performance. Guarana is a substance from a South American plant. It’s a very popular ingredient for energy drinks because of its high caffeine content. 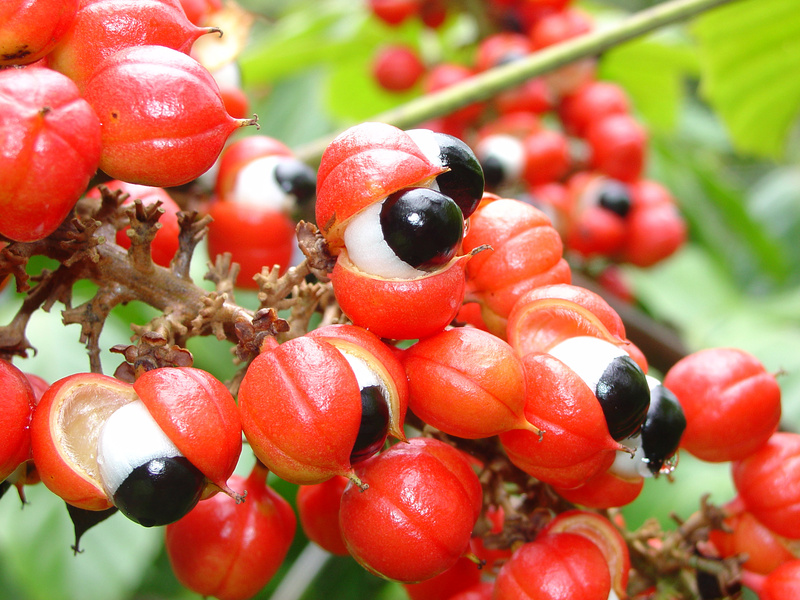 Guarana contains more caffeine than any other plant in the world, including the coffee bean. There are some claims that Guarana promotes weight loss when combined with other ingredients. So if you read Guarana on the label of an energy drink already containing caffeine, it just means more caffeine. 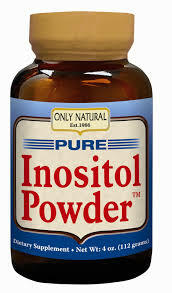 Inositol is a naturally occurring vitamin that is produced from glucose. It’s considered a brain food because it is necessary for brain support. Studies suggest that it also aids in illnesses like depression or cancer. 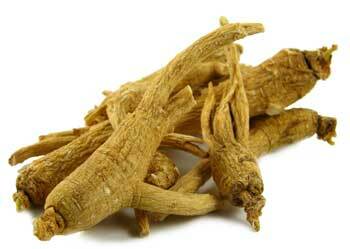 Ginseng is an Asian herbal supplement used for different medical reasons. Only few of them have been researched more extensively. However there is no evidence that it boosts energy. 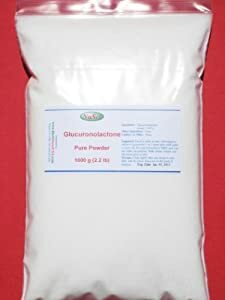 Glucuronolactone is a natural occurring substance in the body. There is not much research on it but claims have been made that it supports mental performance. Art Sweeteners are sugar substitutes, often used in energy drinks to lower the amount of calories. There are a variety of different artificial sweeteners. It can also help control blood sugar in people with diabetes. Artificial sweeteners are chemically processed and there have been various debates on its health risks. Tests on rats run in the 70 have claimed certain sweeteners cause cancer. None of these claims have been proven to be true. 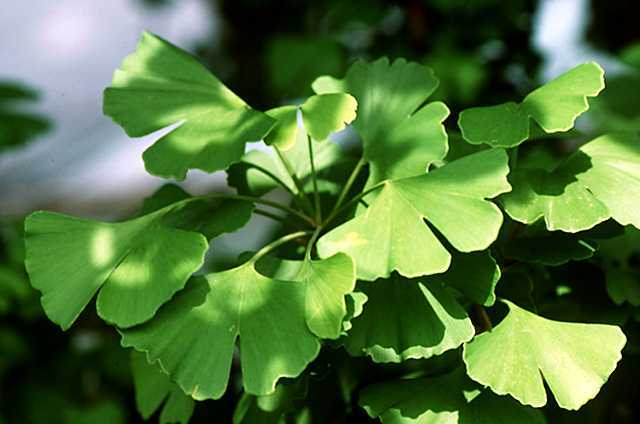 Ginkgo Biloba is extracted from the leaves of the Asian Ginkgo tree. The herb is used in various energy drinks like Rockstar. Recent studies by the US government have shown that the substance may have resulted in the development of liver and thyroid cancer in mice and rats. L Carnitine is an amino acid produced by the body. Unless there is a deficiency the substance is relatively useless. Too much of it can cause stomach upset, vomiting, diarrhea, and even seizure. L Theanine also an amino acid that is derived from tea. Preliminary studies claim that the substance may calm the brain and enhance concentration. No one should rely on energy drinks for the regular energy boost but rather follow a healthy diet and lifestyle. However for most people it is ok to consume energy drinks occasionally, but coffee is still a better alternative source of caffeine. Energy drinks tend to have an effect of bringing the body’s capacity from 100% to 130%. If you are looking to recover your body from 70% to 100%, try Clarex, its completely stimulant free. Bring the Excitement to your event! Request a Sponsorship for Free! What events do we sponsor? Clarex is ideal for post-athletic, or post celebratory recovery. For the athletes out there: Clarex loves to help runners, walkers, bikers, swimmers and anyone else who wants to stay healthy. If enjoying the sun with a beer in your hand or dancing to your favorite band is more your style, we’re here to help, too! Either way, Clarex will get you back to 100% so you’re ready to tackle the next day! Clarex is happy to provide FREE product in order to make sure you and your friends stay healthy, while still having a blast. If gear is what you’re looking for, we’re happy sell you t-shirts, hats, or water bottles upon request. Please note that Clarex does not pay sponsorship fees. How do I request a sponsorship? How much product do we bring? We will provide our recovery formula based on the event and the number of people we sponsor. We will ensure that you, your team and friends will have enough Clarex to help you get back to 100%. Avoid caffeine, this tends to last only for a short period of time and then the crash will come and you will feel more tired than before you took it. Avoid foods with excess carbohydrates or refined sugar. These high glycemic index foods lead to significant swings in your mental state. The insulin response from these foods can also cause reactive low sugar levels that can cause drowsiness. Instead, reach for something else like nuts which stabilize your sugar levels better. Go work out. There is no better way to keep up mental fitness by exercising your body. Sound mind and body. There is no exaggerating here. Take a supplement that helps you recover and maintain focus. On this end, you should try to find something that works on entire metabolic pathways (like CLAREX or a like product). You have to find what works for you and sometimes trying out a few may work well for you. Regardless of the product, you should look for something that is stimulant-free and does not act on your neuroreceptors like caffeine. Be well and stay focused.